Chelsea MA and Staten Island NY are both home to major marine industrial dock facilities dedicated to the transshipment of de-icing salt from oceangoing vessels into the region. 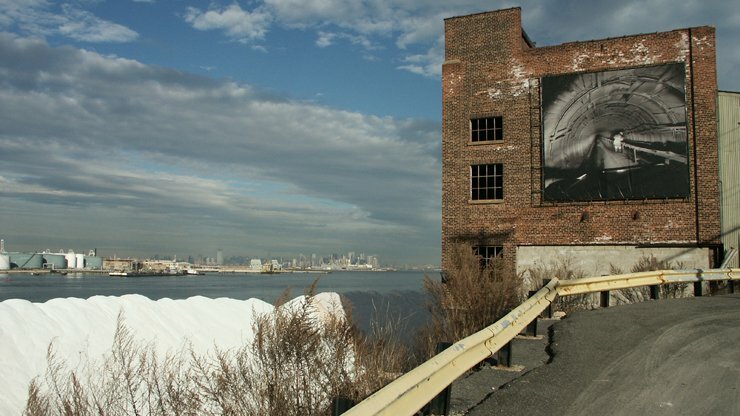 There are large salt piles on the waterfront edge of both places, highly visible, yet often not well understood in terms of their use, composition, or origins. 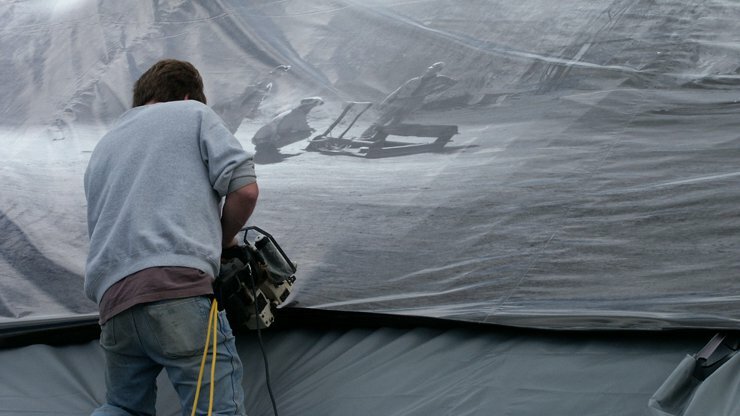 Mining Tarps was an installation intended to heighten the legibility of the industry in the communities where they are located. Landing Studio worked with the salt dock operating company and the Noble Maritime Collection of Staten Island to send photographer Michael Falco to document a salt mine in the UK which provides some of the road salt for the region. 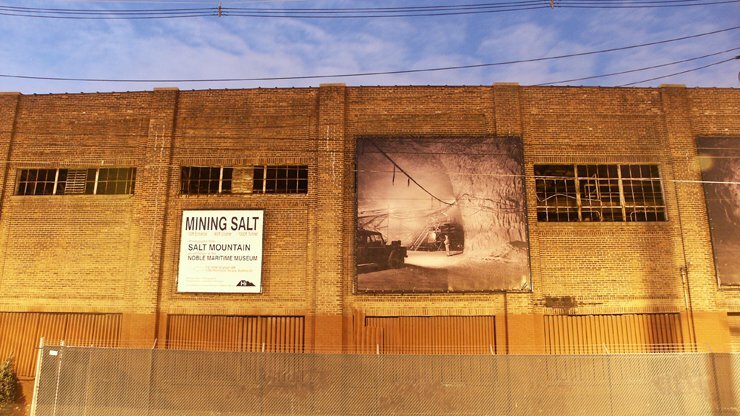 His photographs, illuminated by the headlights of underground mining equipment, were printed at a large scale by a billboard printing company and stitched into the tarps covering the summertime salt stockpile in Chelsea MA. 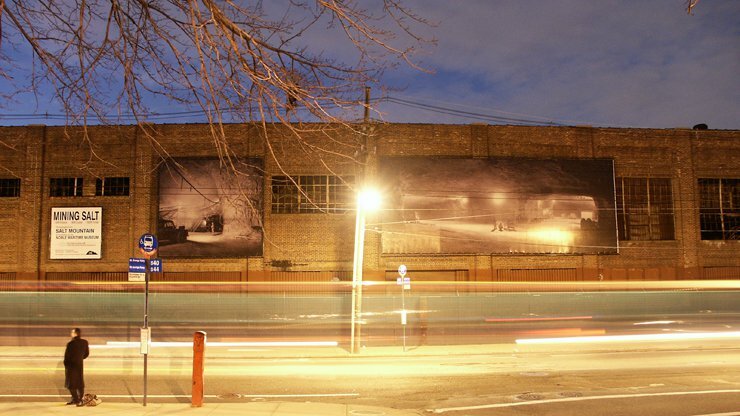 Later, they were mounted in frames and hung on former factory buildings adjacent to the Staten Island salt pile. The installations communicated the origins of the salt into its local context through their presence in the landscape and coupled with descriptions in local newspapers.